That's right... two Arenas! 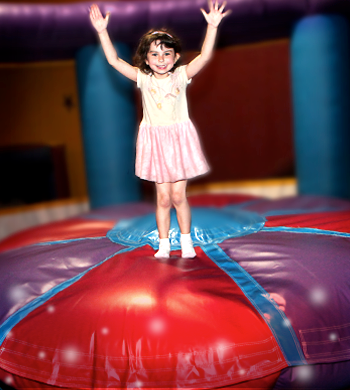 Step into our first arena, home to four gigantic inflatables... our enormous 20 Foot Slide, exclusive Slippery Slope, Ultimate Playground and obstacle course, plus the Pump It Up Boxing Ring! 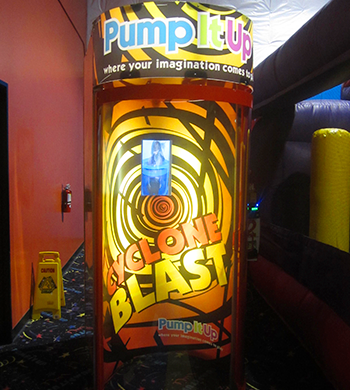 After getting a workout on our huge rides, step into another Pump It Up exclusive... the Cyclone Blast and cool off, then grab the puck and get your game on with air hockey! Now your ready for another wave of fun... our second giant arena! 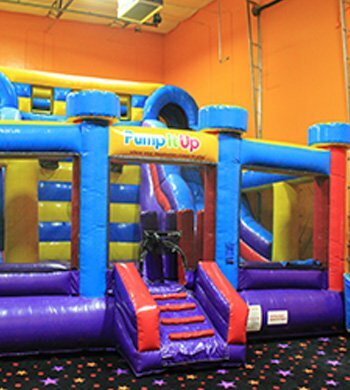 This massive arena has four more gigantic inflatables... an enormous 20 Foot Slide, a Pump It Up favorite, along with our forty-foot long Obstacle Course, full court Basketball Bouncer and our Coliseum for jousting! 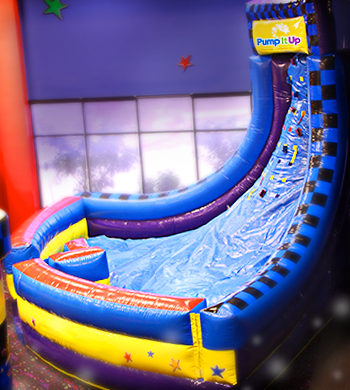 Climb our highest inflatable slide and zip down at the speed of sound! 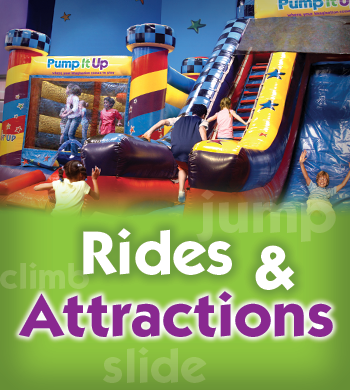 Enjoy our most favorite inflatable in both arenas... that's right, we have two of these enormous rides! 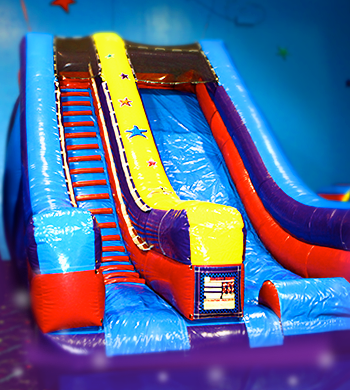 The Ultimate Playground combines climbing, sliding, jumping and so much smiling you'll never want to exit! 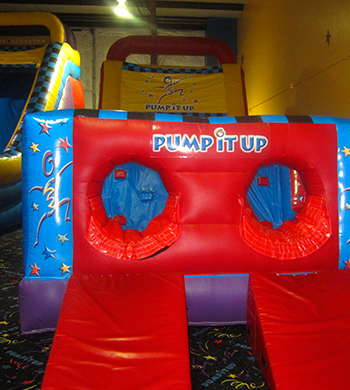 It's one of Pump It Up's largest indoor attractions and the ultimate play experience! 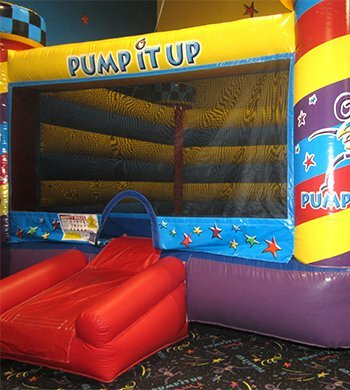 Dawn our headgear, slip on our huge boxing gloves and take on your opponent in the Pump It Up Ring! Or just throw off your shoes and bounce, bounce, bounce! Get some air and make some baskets! 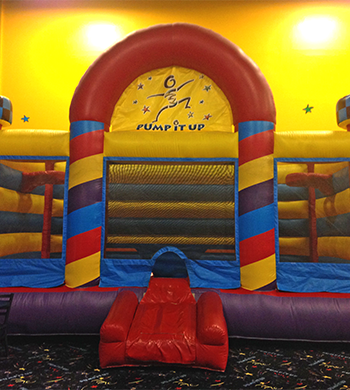 Our basketball bouncer makes everyone a hoops wiz and a dunk pro! 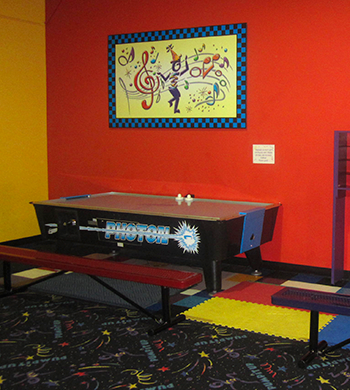 So get your team together and your game on! Get ready... get set... Go! It a forty foot race through tunnels, under obstacles and over the climb wall! It's fun for everyone... but first to the end wins! Joust or jump! Do you have the balance and skill to joust your way to victory? The Coliseum is for thrill seekers looking for fun!